Recent court rulings in Arkansas and Arizona reaching opposite outcomes highlight the continuing controversy over state practices keeping information relating to state acquisition of drugs for use in executing prisoners secret from the public. A state trial court judge in Pulaski County, Arkansas ruled on September 19 that the Arkansas Department of Correction must disclose package inserts from the supplies of the sedative midazolam recently purchased by the state as part of its three-drug execution protocol. On September 21, a federal district court judge in Arizona denied a First Amendment challenge brought by a coalition of news organizations seeking disclosure of who supplies execution drugs to the state. In the Arkansas case, circuit court judge Judge Mackie Pierce rejected arguments by lawyers for the state that the packet inserts were shielded from disclosure under state law because disclosure of the inserts would ultimately result in the discovery of who supplied execution drugs to the state. 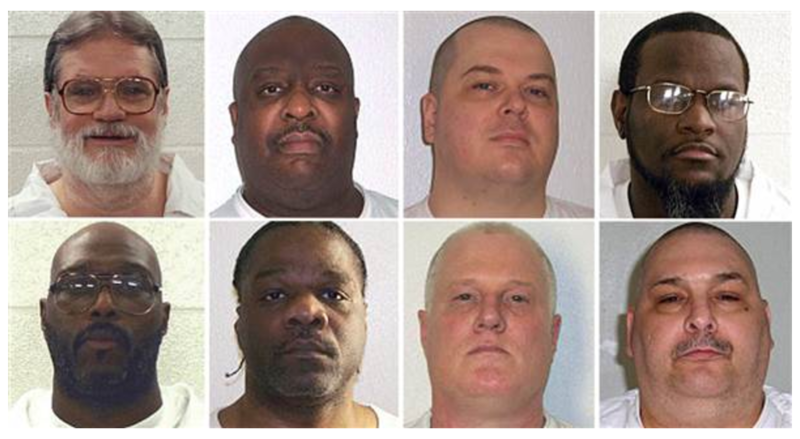 The Arkansas ruling was the second time a state trial court had ordered the Arkansas Department of Correction to disclose packaging information about its execution drugs under the state's Freedom of Information Act and public-disclosure requirements in the Arkansas Method of Execution Act. In April, another Arkansas judge directed the state to disclose packaging information related to its supply of potassium chloride, the third drug in the execution protocol, which causes the prisoners searing pain before it stops the heart unless the prisoner has been adequately anesthetized. Also in April, the drug distributor, McKesson Medical-Surgical, Inc., sued the state in an attempt to prevent it from carrying out executions with supplies of the paralytic drug, vercuronium bromide, obtained from the company under what McKesson described as false pretenses. Assistant Attorney General Jennifer Merritt had told Judge Pierce that it was necessary to keep the package labels secret because some drug manufacturers had objected to the state’s use of their drugs in executions. In his ruling, Judge Pierce said the Arkansas legislature knew how to grant pharmaceutical companies secrecy under the state's execution law, but didn’t do so. “They know what manufacturers are. They knew what the issues were," he said. The state has appealed the April order and is seeking an emergency stay to block implementation of the current order. 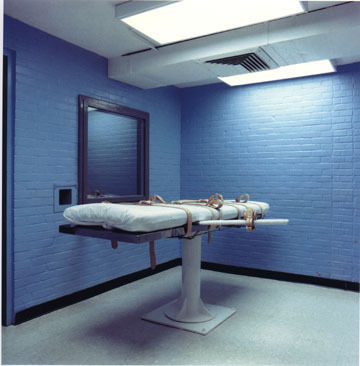 In the Arizona case, a group of local and national news organizations, including The Arizona Republic, Guardian News & Media, Arizona Daily Star, The Associated Press, and two local television stations had sought disclosure of the state's drug suppliers, arguing that such disclosure was essential for the integrity of the criminal justice system and to determine whether the death penalty was being carried out humanely. District court judge Grant Murray Snow wrote that while the First Amendment protects speech about the death penalty, it does not require Arizona to disclose "protected information" about the identity of its drug supplier, "to the detriment of the state's ability to carry out its constitutional, lawfully imposed criminal punishments." Last December, Judge Snow had ruled in favor of the media on a separate secrecy issue, requiring the Arizona Department of Corrections to permit media witnesses to see the entire execution, including each time drugs are administered. Media witnesses had been unable to see key portions of the botched execution of Joseph Rudolph Wood in 2014, when he was administered 15 doses of lethal-injection drugs in an execution that took nearly two hours to complete. Arizona has not carried out an execution since then and no executions are currently scheduled.